Before SNK Heroines Tag Team Frenzy there was SNK Gals’ Fighters. 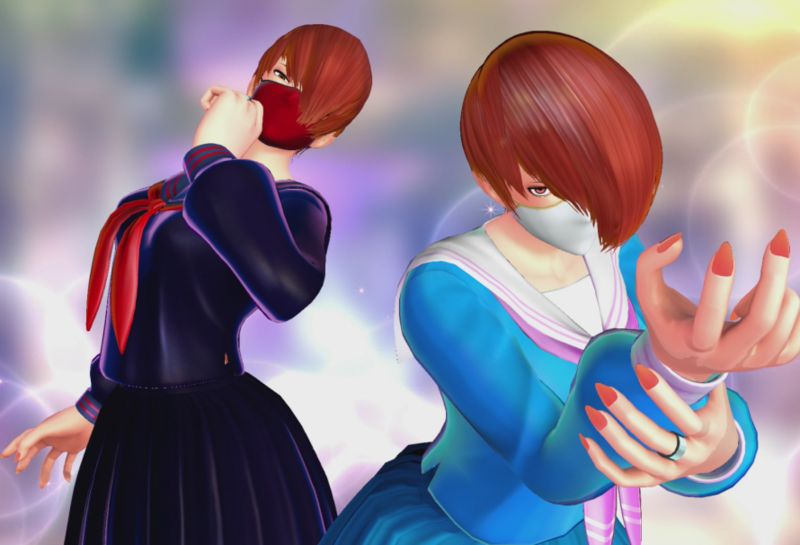 The boss of this game was MissX, a character that was obviously Iori Yagami dressed up as a woman. 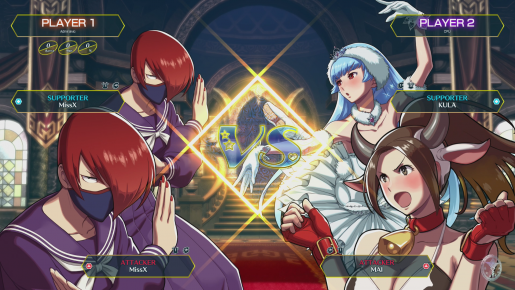 This amusing idea made MissX a perfect choice for SNK Heroines Tag Team Frenzy, though she didn’t make the initial roster. Naturally, now that some time has passed, she is the latest DLC character and brings a fair amount to the table. First and foremost, what makes MissX stand out is the fact she has multiple costumes. While the first and third costumes look nearly identical, one is an actual woman, with the other being a guy dressed as one, the third is a sort of cosplay of Kyo Kusanagi. Their rivalry has been a thing for ages, so turning MissX into something of a fan girl is, if nothing else, rather humorous. This rivalry also appears in MissX’s arcade ending. Here MissX challenges a female version of Kyo to a fight, only for the two to laugh and move past their petty feud. Following this horrific turn of events, Iori wakes up and to see Kyo on the news and has to come to grips with what occurred in his dream. As for MissX as a fighter, well, she really isn’t the best. For the most part, MissX fights like Iori from King of Fighters. She retains his pyrokinetic powers, with both his iconic moves making an appearance, and some fairly solid moves. Even if she isn’t the best at combos or dealing damage, she gets some good options for tagging or simply achieving some quick damage. Naturally, her biggest shortcoming is hitting her finishing attacks. Her standard one, where MissX swings a training sword, doesn’t have a lot of range, isn’t easy to combo into and not particularly forgiving in terms of execution. This is a stark contrast to Arthur, who I almost had to try to miss her finishing blow. Unfortunately, unlike Skullo, MissX doesn’t even has interesting finishing moves. Hitting someone with the sword is an instant win, with the other one having a more elaborate move, though nothing memorable like Skullo. 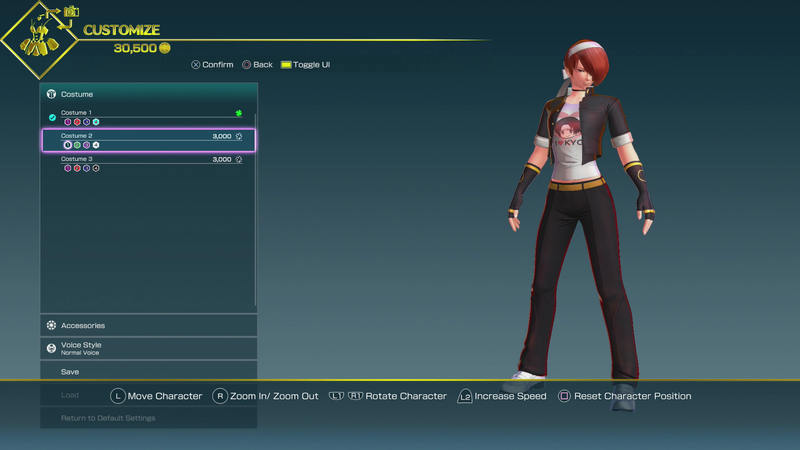 Even if MissX doesn’t have the best finishing moves, her addition is welcome in SNK Heroines Tag Team Frenzy. Her familiar moves make it easy to know how to play her, with the tag function making up for her shortcomings as a fighter. Sure, she isn’t as powerful as Arthur or as memorable as Skullo but her ending and alternate costumes are amusing enough to make her a welcome addition to the game.